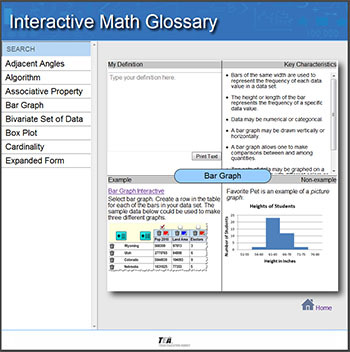 The Interactive Math Glossary is provided by the Texas Education Agency to help teachers explore and understand mathematics vocabulary used in the grades K–8 Texas Essential Knowledge and Skills. You can also download the Interactive Math Glossary app through the iTunes app store. 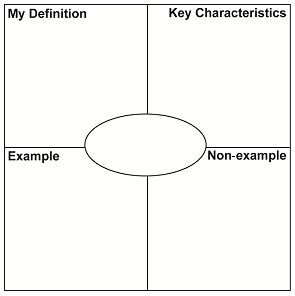 An editable and printable version of the four quadrant Frayer Model is available by clicking on the link below. A full list of the glossary terms and definitions is available in PDF format below.